FMG provides legal guidance and counseling to trustees, attorneys in fact, professional fiduciaries, and other fiduciaries who are accused of breaching their duty to act in the best interests of their principals on issues that include their alleged mismanaging of trust funds, recommending inappropriate investments, wasting of assets, refusing to release trust funds, or similar claims. FMG also has represented trust beneficiaries and other clients of fiduciaries who have been adversely affected by some sort of an alleged wrongful act or omission committed by a trustee, investment advisor, broker-dealer, or other type of fiduciary. In the handling of cases involving these sorts of fiduciary issues, FMG assembles a team of highly competent attorney, paralegal, consultant and technical support to handle even the most complex of disputes. 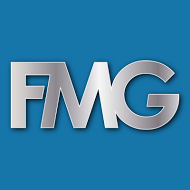 In addition to FMG’s skilled lawyers and paralegals, FMG has developed relationships with forensic financial analysts with securities and professional fiduciary backgrounds and probate professionals who are able to assist FMG in the evaluation of these fiduciary claims and the preparation of related technical data. FMG’s experienced trial lawyers also are quite adept at resolving disputes through negotiation and settlement, and typically can achieve a final result during the ADR process without having to pursue the case through trial or binding arbitration with FINRA or with other arbitration forums. However we here at FMG are always prepared to pursue full-blown litigation through trial when necessary. Thank You For Giving Us An Opportunity To Review Your Concern With You.